This vehicle was not equipped with factory keyless entry. 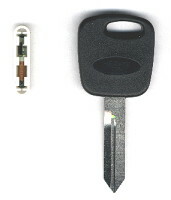 Some vehicles may be equipped with the dealer installed system that uses this remote above. If you don't have a remote to compare to then read on. 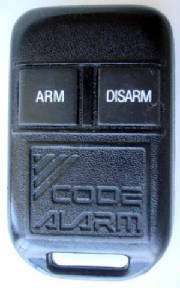 If you have a red LED on your dash and a programming button then look under the dash for a box that says it is made by Code Systems or Code Alarm. If you find that box then order this remote.We do Not stock this remote normally but every now and then find a used one, please call and ask if you want an original remote like this. Or try one of our Learn and Burn remotes that will replace this remote. And look kewl!